What Makes The Work Day Even More Awesome? Office Pets! More and more companies are allowing pets in the workplace. In fact, according to a Virginia Commonwealth University study, employees who bring their dogs to the office have lower levels stress. Bringing dogs to work means people are more likely to take actual lunch breaks and go on walks and pause for a second to, rub that belly and scratch behind those ears. 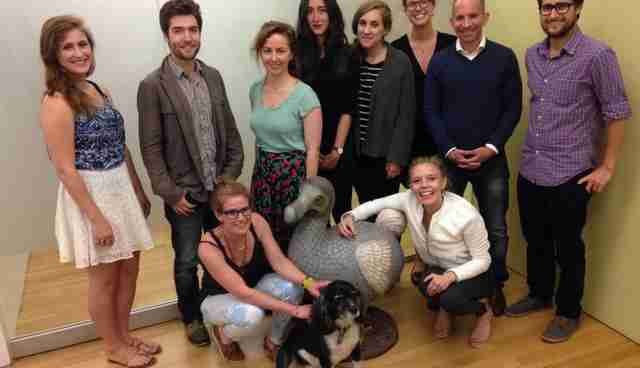 Meet Tyson (who loves belly rubs and trolling for snacks) and The Dodo team. 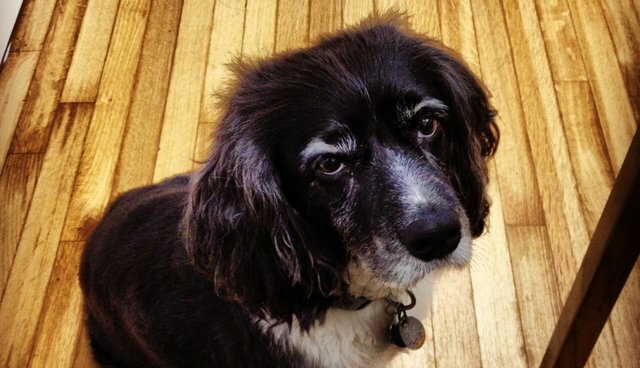 Tyson is a Spaniel mix, rescue dog owned by Dodo friend and officemate Emily Thomas. Tyson, in addition to having a nose for lunch time, is an excellent blogger and strictly adheres to the AP style guide. He's dogged about punctuation.